Alekhine, Alexander. 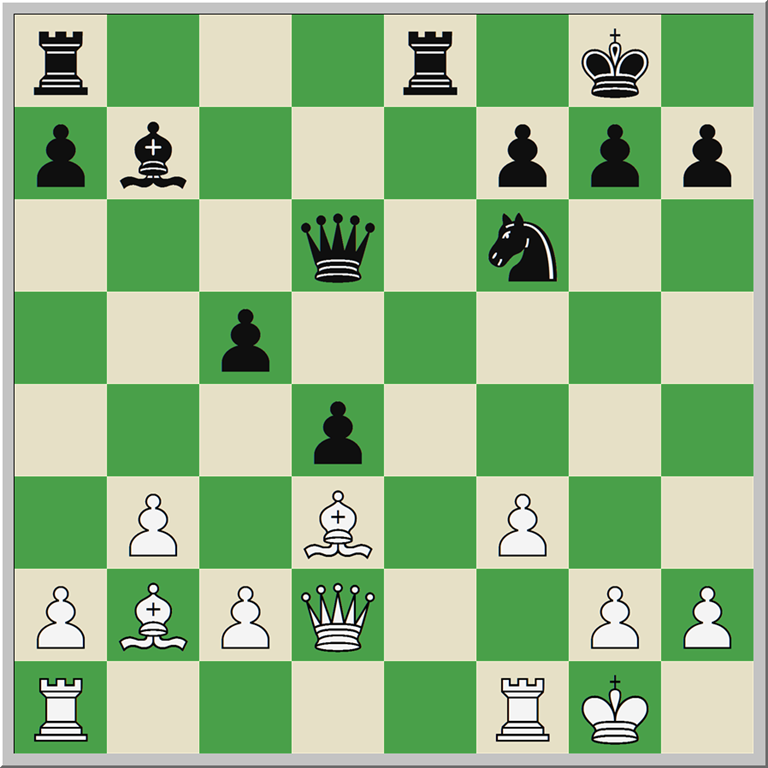 My Best Games of Chess: 1908-1937 (21st Century Edition). USA: Russell Enterprises, 2013. ISBN 978-1936490653. List $34.95. Nota bene: I was provided a review copy of this book by the publisher. Some reviews are easier to write than others. It seems to be a nearly universal recommendation for improvement. Study the classics. Study the games and ideas of the great masters of the past, and your game will improve. Choose a chess ‘hero’ – preferably from before the Second World War – and play through all of their games to ‘get in their skin.’ (What a shame, by the way, that Jeremy Silman has removed so much content from his website.) Soviet trainers used to tell their pupils that the study of Rubinstein’s games would add 100 points to their ratings; if this is true, surely the same can be said for a deep, intensive study of the annotated games of Alexander Alekhine. Today’s youth don’t know the classics, and I think this is the case for a couple of reasons. First, young chess players generally get their chess via the Interwebs. This leads to something like a lingering presentism in their chess psyches. Why study Alekhine when you can watch Nakamura play 1-minute on ICC? Hell, why study annotated games at all when you can just play endless blitz for free at chess.com? For those lucky few who have listened to their elders and chosen to study the classics, there is a second problem. Most of the recommended game collections were originally published in descriptive notation. All of Reinfeld’s game collections – on Keres, Lasker, Capablanca, and especially Tarrasch – are in descriptive. Kmoch’s book on Rubinstein is in descriptive. Alekhine’s game collection is in descriptive. And none of today’s youth can read descriptive. Hanon Russell has, after selling ChessCafe, turned his attention to the remedy of this deplorable situation, publishing ‘21st Century’ Editions’ of older books. These ‘21st Century Editions’ involve, at base, the translation of these books into algebraic notation, bringing them back into the chess vernacular of our day. Russell Enterprises has brought Lasker and Reti back into print, translated the semi-legendary Najdorf book on Zurich 1953 into English, and republished (in algebraic) the tournament books of important historical events. Now Russell has done the chess world another great service by printing a new algebraic edition of Alexander Alekhine’s Best Games. Alekhine was, in my humble estimation, one of the top five players ever to play our beloved game, and he was certainly among its greatest annotators. Annotations before Alekhine (or perhaps Tartakower) tended to be fluffy, light on substance. Alekhine’s annotations, while perhaps sometimes overly influenced by self-regard and game outcomes, are dense and educational, seeking to divulge the inner truths of positions. His play tended towards the attacking and combinative, loading his game collection with sparkling brilliances and astonishing moves. There are few game collections worthy of study more than Alekhine’s, and this new edition actually improves on the original Bell & Sons books through the considered inclusion of pictures and crosstables. The layout feels more natural for the modern eye, and of course, the translation into algebraic renders the book readable once again for the chess masses. The decision to render diagrams in Alekhine’s games with black ‘upside-down’ is, as Dennis Monokroussos points out, controversial. Dennis considers this a ‘con;’ I, however, think it to be unproblematic. Most of the people who are replaying these games will be doing so from Alekhine’s perspective, so for them, the ‘upside-down’ diagrams seem right-side up. Modern players are also much more used to 2D representations of board with black on the bottom than are their elders. Half of their games on the Internet, after all, appear in just this way. I’m also appreciative for the restraint shown by Russell and Taylor Kingston, who did the conversion into algebraic, in their decision to exclude computer-assisted corrections from the text, preferring instead to publish them separately online. One of the great advantages of playing over older game collections consists in the more ‘human’ or logical nature of the annotations. I think you learn more from Alekhine’s annotations than, say, Kasparov’s annotations of the same games in MGP. They might not be as analytically precise, but they tend to get to the essence of the position much more quickly and clearly than do the computer-assisted notes. Too much analysis can overwhelm even the most attentive reader. There remain a few editorial oversights in the text. Some, it would seem, are unfortunate remainders from the conversion from Chessbase files to Word files to formatted text. A few moves appear twice or are missing, for example. and this generally has to do with the placement or removal of diagrams in the text. Such slips are, however, rare, and the book is on the whole free from error. The price ($34.95) is a bit steep, but here I think we see the facts of the modern book market at work. Russell is surely aware that most of these books will sell via Amazon, which discounts heavily. The brick and mortar sellers don’t seem to stock chess books anymore, so why not set prices that reflect this reality? My Best Games of Chess: 1908-1937 (21st Century Edition) is currently (as of 5/16) available on Amazon for $23.07, while the older descriptive edition from Dover lists for $19.95 and is discounted to $17.77. $23 for this book is entirely reasonable, and I think that the pictures, crosstables and algebraic notation render the extra cost against the Dover edition worth your consideration. Perhaps the only thing the Dover book has going for it is its slightly sturdier spine and paper. If you have the old descriptive notation and you’re comfortable reading DN, you might skip the upgrade. But if you don’t, or if you’re shaky in your descriptive reading skills, this book is entirely worth the purchase price. I can warmly recommend it to players of all ratings; in fact, I will be recommending it to my students and to the chess team I coach. PS: Hanon… translate Kmoch’s Rubinstein book next, ok? This entry was posted in Game Collections and tagged Alekhine, Alekhine's Best Games, Russell Enterprises on May 16, 2013 by fullcityplus.